You are here: Home / faith / Isaiah 12:5 | Sing Praises to the Lord! 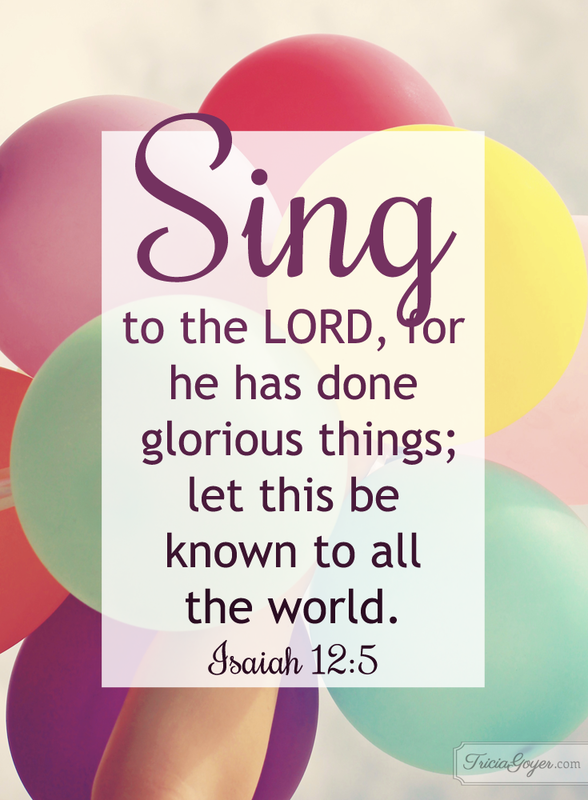 Isaiah 12:5 | Sing Praises to the Lord! Papa God, you have given me a reason to sing and celebrate! I cannot count all the incredible things you done in my life! You’ve changed my life and given me purpose. May I spend the rest of my days praising you and sharing with others your glorious work. Everyone needs to know you and your unfailing love — I hope to be a small impact in this big, big world.